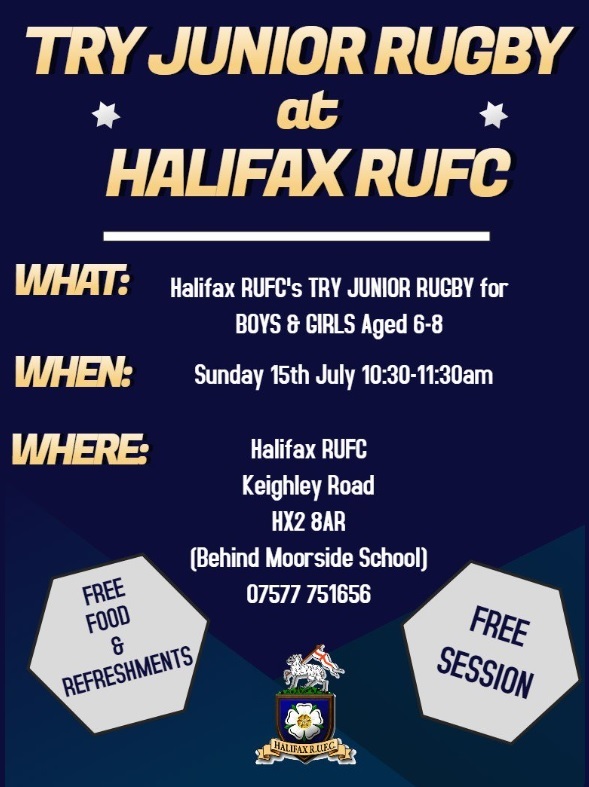 Halifax RUFC are holding a FREE session for 6-8 year old boys and girls to try out junior rugby on Sunday 15 July, 10:30am-11:30pm. There will be free food and refreshments at the Halifax RUFC ground on Keighley Road behind Moorside School. For further information call 07577 751656.